This week, for our “Change the World Wednesday” challenge, small footprints challenged us to reduce our landfill waste. As you may be aware, we’re pretty good at accumulating minimal landfill waste here at Chez Green. In 2009 we created just one dustbin of waste; everything else was reused, recycled or composted. Nowadays we create around 1 carrier bag every couple of months or so. So for this challenge I looked at micro steps. What were those ‘bad habits’ that had reared their heads again, what small, yet significant steps could I make? I decided to focus on crisps (potato chips). Little Miss Green loves her crisps and she has a pack every day with her school lunch box. Now that I can no longer recycle the empty packs, they end up in the bin. I thought I’d shop in bulk and decant the crisps over the week. That way I’d save money AND landfill waste. The trouble was; it didn’t go quite according to plan. 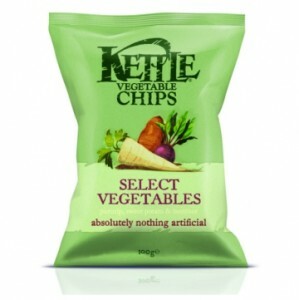 I found a large pack of vegetable crisps which I figured would divide up into 3 days. I made sure to keep the open crisps in an airtight container to avoid food waste (could you imagine the irony of creating food waste instead ?!) and Little Miss Green was happy to take them to school in a small container. An added bonus was with washing up – because the crisps were decanted into a container with a lid there were no annoying bits to wash up; I even managed to get away without needing to wash her lunch box for three days – who knew I’d be conserving water too! But the downside was the result on my landfill waste. My kitchen scales aren’t exactly forensic quality but I discovered an empty large pack of crisps weighs 2gms where 3 individual bags of crisps weighs 3gms. So yes I had reduced my weight but I never realised I would be down to THAT sized micro steps! All in all I saved a gram of waste from going into landfill!! What about you? What tiny step could you take to reducing your landfill waste this week? Not exactly forensic quantity… LOL and yet you got down to a gram. Better than my kitchen scales. I must agree with you. I am not in favour of these ‘mini’ portions of junk food, cans and bottles of drink. They are just an enticement for the kids to buy.